Cary, NC — Feb. 1, 2019 — INDA, the Association of the Nonwoven Fabrics Industry, has announced 15 cutting-edge companies are finalists in five categories for its IDEA®19 Achievement Awards, in partnership with Nonwovens Industry magazine. Voting opens online Feb. 15th via the Nonwovens Industry website, www.nonwovens-industry.com. The awards recognize brilliant innovations in the nonwovens and engineered materials industry. 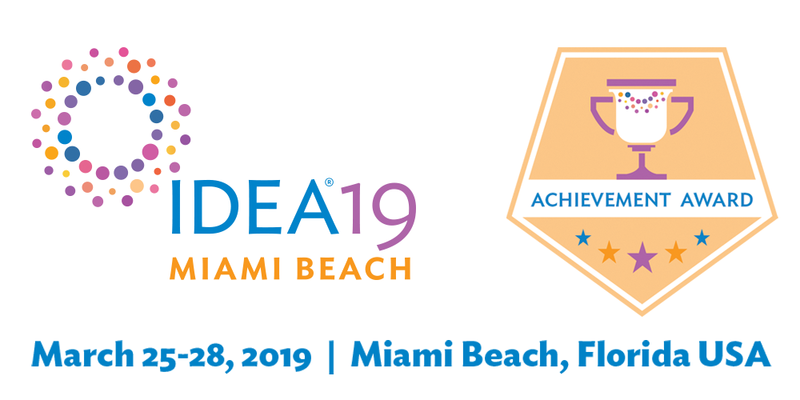 Winners will be announced and honored at IDEA®19, the World’s Preeminent Event for Nonwovens & Engineered Fabrics, March 25-28, at the Miami Beach Convention Center in Miami Beach, Florida. Industry professionals can vote for their top choices in each category on the magazine’s website starting Feb. 15th. Finalists range from next generation machinery with digital tools for intelligent production, breathable multi-layer composite fabrics, and fibers that are tailor-made for use in disinfecting wipes. Full details on each of the finalists will be available on the Nonwovens Industry website on Feb. 15th. Votes will be accepted until March 1st. The winners in each category will be announced during IDEA®19, Wed., Mar. 27th, 9:30 am – 10:30 am. IDEA®19, the world’s preeminent event for nonwovens and engineered fabrics, is expected to attract more than 7,000 attendees and over 550 exhibitors from 70-plus countries. For more information on attending and exhibiting, visit www.idea2019.com.